Expressions of interest are now being considered for our 2019 exhibition calendar. 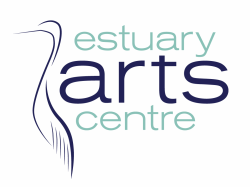 You are invited to register your interest in exhibiting your ceramic artworks as part of our Japanese Month (April 2019) of creative programmes and exhibitions planned to run at Estuary Arts Centre. “Kama-Yaki” 窯焼き is open to potters who work in ceramics and are inspired by the Japanese aesthetic or Japanese Ceramic techniques or firing methods in their arts practice. Our intention it to showcase a range of high quality, distinctly Japanese inspired ceramics alongside the travelling “The Spirit of Budō: The History of Japan's Martial Arts in April 2019.